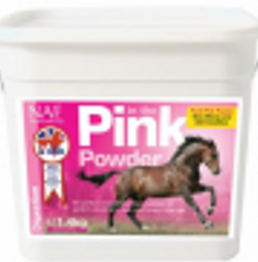 A high concentration feed balancer boosted with probiotic yeast, NAF in the Pink Powder is highly nutritional supplement that can be used to support all-round equine health and vitality. This high specification formulation is of the highest quality and is proven to provide long-lasting effective nutritional support of the gut. It should be fed to balance the diet with micronutrients and to provide key gut support to maintain perfect condition.